Home » Investing » Alternative Investments » How to Invest In Fintech? How to Invest In Fintech? Have you wondered why do you hear more and more the buzzword “Fintech” and what does it mean? 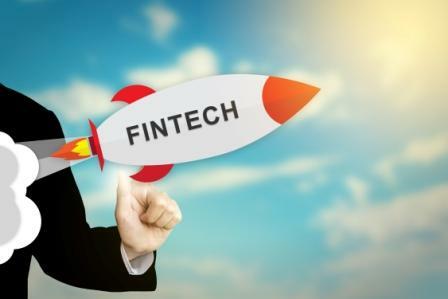 Financial Technology or FinTech for short – is an industry made up of companies that utilize the latest technology to provide financial services to customers. Those companies develop new technology or upgrade available resources and directly compete with traditional financial institutions and intermediaries. Financial technology companies could either be startups or entrenched financial and technology companies. Their main goal is to change or elevate the usage of financial services of existing companies. Since 2010 however, the use of the term FinTech has grown to include any technological advancement in the financial world. It now covers innovations in retail banking, investment, financial education and literacy, and lately, crypto-currencies such as bitcoin. In a strict sense, the term financial technology can apply to any innovation on how customers transact business. Examples of its coverage range from the invention of hard currencies to double-entry bookkeeping to cheque clearing systems. However, the internet revolution as well as the dominance of smart phone connectivity has grown financial technology dramatically. Once, FinTech was a term used to denote computer technology primarily used as back-end support for banks, investment firms and trading companies. Today it similarly pertains to a wide range of technological tools for personal, household and commercial finance. FinTech startups have focused on finding easier ways for people to save money. They are also discovering new channels and applications for individuals and business entities to get paid a lot quicker seamlessly. For years, the financial industry has been boxed in because of its hesitance to venture outside the normal business realms. Today, FinTech companies are making good use of opportunities to transform the marketplace. In fact, some older organizations must now adapt to these new technologies. Otherwise, they will be quickly left behind as their competitors continue to advance to better meet their customers’ needs. Investors have been steadily showing interest in FinTech companies, more particularly during the past three years. The total funding for FinTech companies already reached $20 Billion in 2015, significantly registering a 64% increase over 2014 investments. Recent figures revealed that in 2016 venture capitalists have deployed some $36 Billion in FinTech companies[i]. This amount is representative of around 1,700 different investors with payments/loyalty/e-commerce companies bringing most of the funding. Closely behind are banks and insurance companies. The trend highlights the truth that this is an advantageous opportunity for anybody looking for a good investment potential. Conversely, FinTech companies are mostly classified as startups and are therefore risky since statistically, 90% of startups fail. Investing in them is like investing in penny stocks – the returns could be astounding but the risks are also enormous. On top of these, you should also consider the market’s indifference to investing funds in online companies. All these factors could put FinTech companies in a tough situation. Wealthfront was among the very first companies to utilize software to participate in the financial market when it was established in 2008. That was right after the global recession so it was hard to get investors and clients for the financial industry. After five years, they only had $97 Million in managed funds but it was nevertheless an impressive 450% growth rate. That proved to be enough to attract some investors and clients alike. Soon, investments from venture capital (VC) companies like Greylock Partners and Benchmark Capital raised the capital to almost $130 Million. A recent article mentions that Wealthfront has some $6 Billion in asset under management from 120,000 customers. [ii] Wealthfront went through a top-management change in 2016 and entered into the direct lending business this year to boost income. These developments are likely to attract more clients and investors, reviving Wealthfront’s viability as a prime investment choice. Robo-advisers have been mushrooming all over the place but Wealthfront is one of the pioneers in the field. It was one of the fastest-growing companies during its infancy – reaching $1 Billion in AUM in 2 years. Wealthfront’s fee structure is still a strong point. They charge a management fee of only 0.25% compared to the average 3% fee of most brokers. The first $10,000 is free from management charges. Customers can also lower their fees by referring new customers. Wealthfront also offers tax-loss harvesting opportunities for all accounts and direct indexing service for balances over $100,000. Other companies only make these services available exclusively for high net-worth individuals. Lending Club is a San Francisco-based company that prides itself as the world’s largest online credit marketplace. The company focuses on loans and facilitates personal loans such , business loans and financing for voluntary medical procedures and for education. Borrowers can get lower loan interest rates through an efficient and convenient online or mobile interface. Investors provide the funds as capital so they can be used for lending purposes in exchange for interest. Borrowing directly from banks is a long and tedious process before you can even be determined as credit-worthy. Under Lending Club’s system however, everything is done online so the whole process is fast, private and convenient to the borrower. Lending Club basically matches borrowers with investors who are capable of funding the desired loans. An investor would normally offer a loan if he likes the borrower’s idea. The company is already listed on the NYSE and its operations are fully regulated by the SEC. These afford security for both lenders and borrowers. Lending Club provides investors an expedient opportunity to directly invest into a business idea and earn from the loan interest. Its share prices have been struggling lately, dipping to $4.03 and recovering only up to $6.78 in the stock market. However, analysts have projected the price to rise so this might be a good time to buy low. Market watchers such as Susquehanna and Wedbush have recently upgraded Lending Club shares. During the past few years, peer-to-peer (P2P) lending companies have become widely marketable. Lending Club is not only one of the biggest but also a top-ranked lender because of its effortless eligibility requirements. Individuals with credit scores as low as 620 are eligible to borrow and rates are as little as 5.99%. As an investor, you can also choose to be a lender for Lending Club instead of a shareholder. This way, you can get a much higher return for your money compared to other fixed income investments. It is also a good way to diversify your portfolio. SoFi (short for Social Finance) started as an avenue for successful new graduates to refinance their student loans. It has then evolved into a finance company that takes a radical approach to lending and wealth management. Presently, SoFi’s product offerings have grown from student loan refinancing to mortgages, refinancing, personal loans, investments and insurance. The company also offers Unemployment Protection and Career Advisory as an added value to its services. It reports a total of $19 Billion in loans funded to date and a member base of 275,000. [iii] These figures alone make SoFi a serious competitor to banks. SoFi continues to attract big investors as it has unveiled plans for a global expansion. It has the distinction of being the first startup online lender to receive a triple-A rating from Moody’s in 2016. With credentials this impressive, SoFi positions itself as a very sound investment choice. SoFi manifests its identity as a social organization through the different benefits it offers to its members. The Unemployment Protection Program for example, helps in-between-job members by suspending their monthly loan payments in three month increments. The Career Advisor Group also provides career coaching to members and even assists members in career transitions and job search. Read More: Investing in Marijuana – The New Trend? Basically, OnDeck Capital, Inc. (ONDK) is an online lender that was specifically created to provide capital to small businesses. For a lending company that was founded only in 2006, OnDeck is a baby by financial company standards. They evaluate eligibility of small businesses by using proprietary technology to analyze aggregate data about the business operations. Their online interface makes the borrowing process fast, simple and efficient for borrowers located across the US, Canada and Australia. OnDeck Capital’s system is quite straightforward. By partnering with larger financial institutions like banks, they are able to provide loans and credit to small businesses. Their revenues have been growing steadily over the years. From their reported income of $25 Million in 2012, it jumped to $65 Million as of 2014. According to their website, they have originated more than $6 Billion in loans. They helped 50,000+ small businesses supporting 74,000 jobs nationwide and made an $11 Billion impact on the economy. They offer Term Loans up to $50,000, Lines of Credit up to $100,000 and Receivable Management Services to small businesses. OnDeck boasts of the fastest service because of their streamlined processes that make full use of technology. Loan applications can be completed in minutes and funding made available as fast as 24 hours – all done online. This New York-based company is one of the promising players in the lending space. Like many such companies in that space, they also faced some challenges in 2016. Since January of 2017, OnDeck’s share prices have declined continuously and dropped to about half of its year opening value. Still, they are in the 30th spot of the Leading 50 in KPMG and H2 Ventures 2016 FinTech 100. Profits are expected to be minimal at $0.06/share but are projected to accelerate to as much as $0.37/share in 2017. For the past years, OnDeck has recorded a positive cash flow. This is an indicator of how profitable online financial business models can become. For investors who rely on rating systems, this could be a future winner worthy of picking. FinTech companies will continue to emerge and flourish in the next several years. A real challenge to investors is selecting which companies would be likely to remain profitable. While researching on Xoom Corporation, an online pioneer in costumer-to-costumer (C2C) international money remittance, PayPal came up. I noted that PayPal Holdings Inc (PYPL) acquired Xoom in 2015. PayPal may no longer be a young financial company but it definitely fits the description of a financial technology firm. PayPal may well be the world’s biggest and most popular internet payment company. Aside from owning several companies, PayPal operates as a payment processor. They provide ways to pay and ways to collect for online buyers and sellers, auction sites and other commercial users. Income basically comes from the fees that accompany the use of their payment gateway. Consumers and businesses acknowledge PayPal as the foremost facilitator of online financial transactions. More recently, online card payment has been a common preference by consumers but even this can be done via PayPal. 214 figures show that PayPal moved $228 Billion in 30 currencies to 190 countries for which it earned $7.9 billion. This accounts for 44% eBay’s (PayPal’s parent company) total profits. The total reported revenue for 2016 was $10.84 Billion. Presently, PayPal has spun-off as an independent company from eBay, a move that was finalized in 2015. PayPal shares have steadily risen over eBay shares since then. Investors can see that it is one of the safer investments in the expanding online payment industry. Financial analysts are expecting that PayPal will outperform the market. Revenues are projected to grow by 15% in each of the next two years and reach $12 Billion by 2017. Profits are growing at a decent average rate of +147.85% with an average earning of $1.50 per share for 2016. [iv] It is expected to reach $1.76 in 2017. 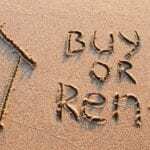 ← Refinancing Your Mortgage – Do You Really Need It?